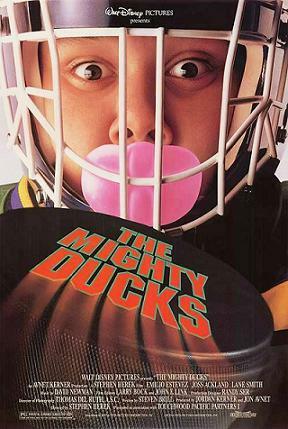 The Mighty Ducks is the first film in The Mighty Ducks trilogy, produced by Avnet-Kerner Productions and Walt Disney Pictures, distributed by Buena Vista Distribution, and originally released to movie theatres on October 2, 1992. In the UK and Australia the film was titled Champions. UK video and DVD releases are now titled The Mighty Ducks are the Champions, reflecting both titles.